And this may be true, but there are lots of ways to make your lunch very affordable and healthy. More money and better living? Yes, please! We talked about one of my favorite methods for saving lunch money in this post earlier this week. We also talked about carrying drinking water in a responsible way in this post last week. I’ve combined both of these concepts to create a handy giveaway. I’m hoping this giveaway can make being frugal and having a healthy lunch easier for you and your significant other or friend. Why not share a great lunch and a great lunch solution? First, there are two large water bottles, one each in grey and blue. 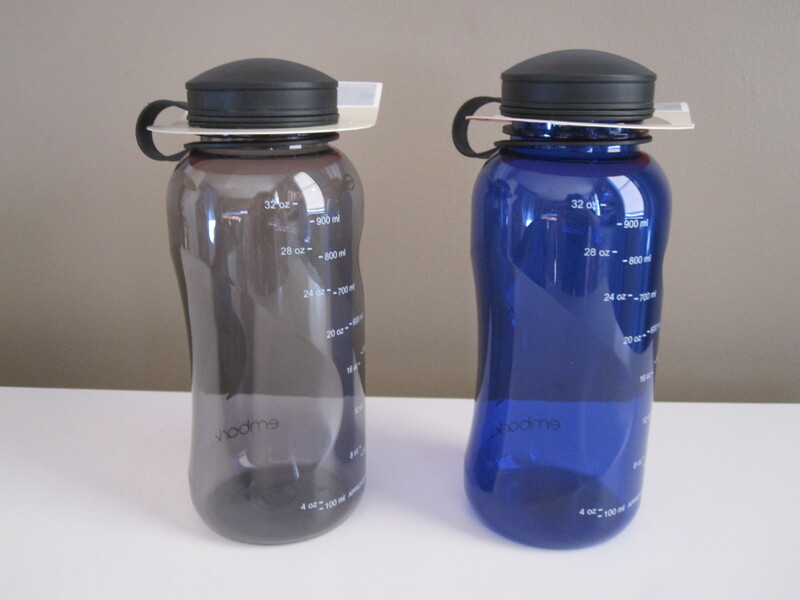 These BPA-free plastic water bottles hold 32 ounces of water or your favorite beverage. They are very sturdy and are dishwasher safe. 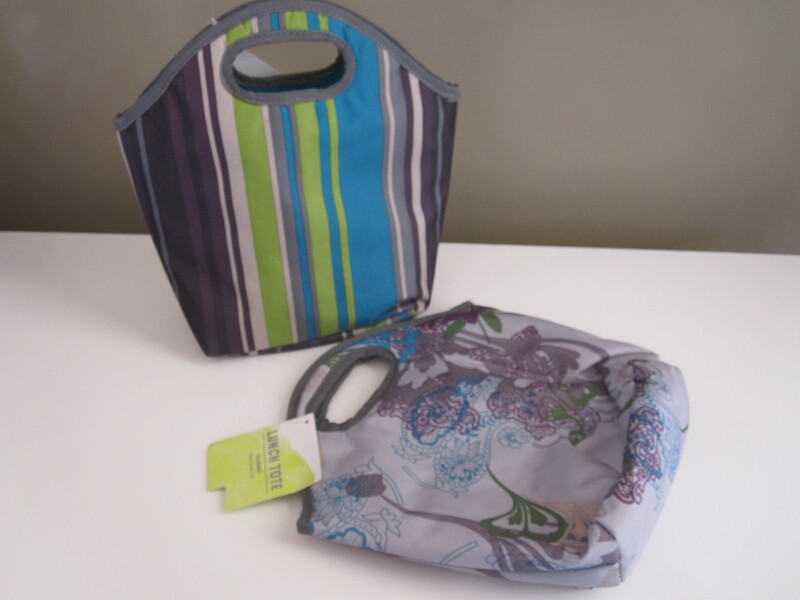 Next, we have two sturdy lunch bags, also in shades of grey and blue. These bags are deep enough to hold a freezer feast from your home or a sandwich, some fruit or veg and a little sweet treat. 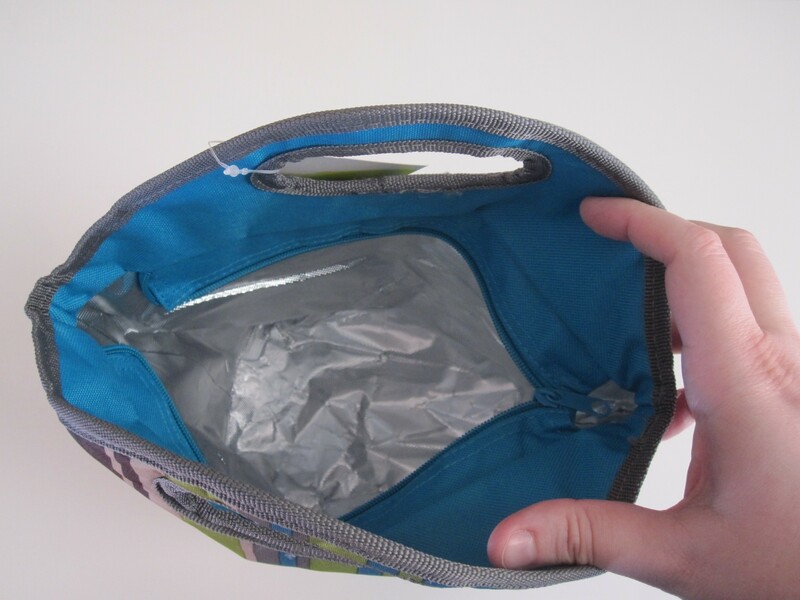 They have a zipper to keep your lunch safely contained. 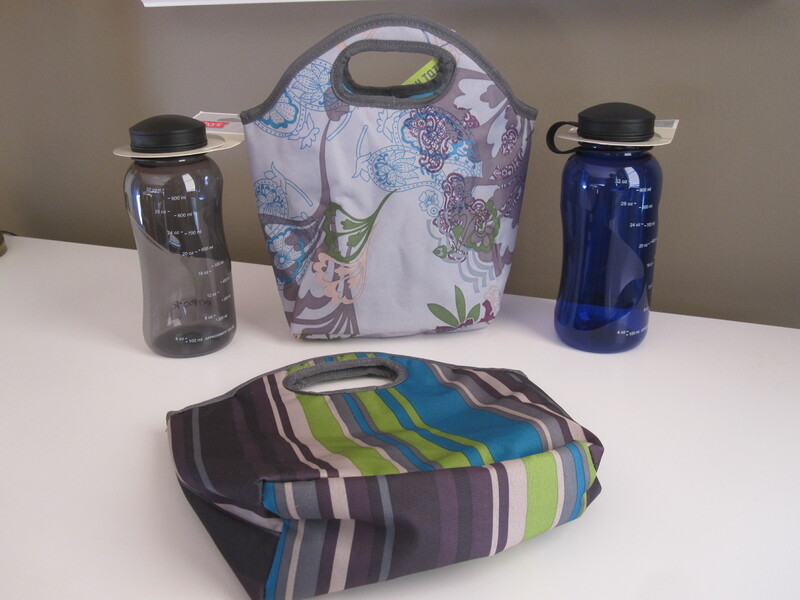 They also have a nice lining that helps keep your lunch cool or warm until your ready to eat. Put these items together and you may have a recipe for a seriously upgraded lunchtime. And this great giveaway set could be yours by early next week! To Enter: Leave a comment that begins with “I Brown Bag!” and tell me what your absolute favorite lunch is. Do you have a favorite sandwich? Is there a certain “leftover” that smell delicious as you re-heat it? What makes your mouth water around lunchtime? Enter today! How about now? Or on your lunch break? Hmm…what are you having for lunch today? Posted on October 27, 2011, in Giveaways. Bookmark the permalink. 5 Comments. There’s just something about leftover spaghetti and meatballs. The sauce has extra time to get into the pasta. It’s just better the next day. Favorite lunch staple? Hands down, hummus. I make my own in large batches and keep an assortment of veggies, pita or crackers on hand. So great when I really don’t feel like putting too much work into dishing up or packing a lunch, it’s a quick alternative to picking up deli or fast food. I love leftover grilled chicken and brown rice. I cover it with homemade salsa and microwave it at work. It is yummy! I do want to try making my own hummus. That sounds great.